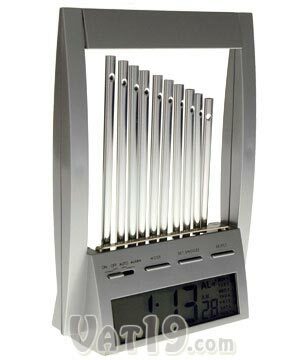 The clock has both 12 and 24 hour modes, shows the date, has a stop watch function and 2 different alarm modes. The 2 choices of alarm modes are just a regular beep, or the wind chimes clattering against each other. Available from VAT19 costing $19.95. ok – i’ve got my own version of this.